Wildly popular photo app Instagram may be looking to grab some social status in the video arena. Facebook sent out an invitation saying, ” A small team has been working on a big idea” in a move to tease interest in a new product announcement scheduled at the company’s Menlo Park, Calif., headquarters on Thursday. Facebook’s Instagram has seen sizzling growth on interest in mobile photo sharing, and a logical step would be to stake out videos next. Shares of Facebook rose 1.7%, to $ 24.02, amid the rumors. The social-networking giant reported in its first-quarter earnings that Instagram has attracted more than 100 million users, up from about 22 million when Facebook acquired the company. App videos have become an Internet sensation as heaps of startups try to become the next mobile version of YouTube. Short ones from Vine, purchased by Twitter in October, have made 6-second videos a new message form. Facebook and Twitter compete for social attention and have added features such as streaming radio music services to keep users glued in. Facebook last week borrowed a page from Twitter’s hashtags convention of providing search around certain subject areas to launch hashtag support on the world’s largest social network. Facebook has a history of trying to match the features of rivals, points out analyst Greg Sterling. “They have seen the success that Vine has had and do not want to have Instagram lose favor because it does not offer that. I wouldn’t be surprised if they tried to do something that one-upped it. If your organization’s social media initiatives have fizzled more than fostered debate, don’t despair: yours isn’t the only one. Social media has taken the mainstream by storm, but its adoption in the business world has been more uneven. Why is the road to better internal discussion often so rocky? 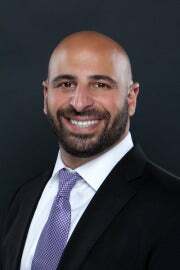 Adam Pisoni, Yammer CTOYammer is a freemium enterprise social networking tool with 5 million users across 200,000 companies, and a $1.2 billion sale to Microsoft under its belt. Company co-founder and CTO Adam Pisoni says that all-too-frequent communication issues stem from the predictable, hierarchical mindset found in many businesses. The solution lies in listening to “lazy” employees, he says–and applying “bring your own device” (BYOD) principles to software as well as hardware. “I was speaking to a very senior IT leader at a large Fortune 500 company, and she was telling me that they had spent a lot of money on a content management system for their employees,” Pisoni told me in a telephone interview. “They had this large, complex, difficult to use CMS, and for some reason, her employees were ‘too lazy’ to use it, and instead they were bringing in their own tools. Amazon.com Inc. (AMZN)’s Zappos online store has created a service that recommends purchases based on what users post on Pinterest, a move to parlay the popularity of the social-sharing site into e-commerce sales. The new Web page, created by a team at Zappos Labs in San Francisco, is called PinPointing and suggests Zappos products, such as shoes, dresses and swimsuits, based on Pinterest posts. Consumers can see suggestions that correlate with their own personal pins or those of other Pinterest users. Pinterest Inc., based in Palo Alto, California, operates a social-networking site that lets users collect and share photos on the Internet by pinning them to a virtual bulletin board. Zappos is using the social site to help shoppers discover its breadth of products through friends and celebrities and debunk its reputation as solely a seller of shoes. Is Nintendo’s Miiverse a reflection of the company’s relative sluggishness in grappling with the social networking problem, a ‘Mii-too’ play? Or is there something much, much smarter going on here? Nintendo is one of the biggest entertainment brands in the world but unlike many of its rivals, it didn’t embrace Twitter and Facebook. Here is a company with a long and notorious history of splendid isolation, of doing things at its own speed and eschewing much of what goes on outside its own direct interests. Witness the company’s incredible tardiness in modern online play and the move from cartridges to disks. 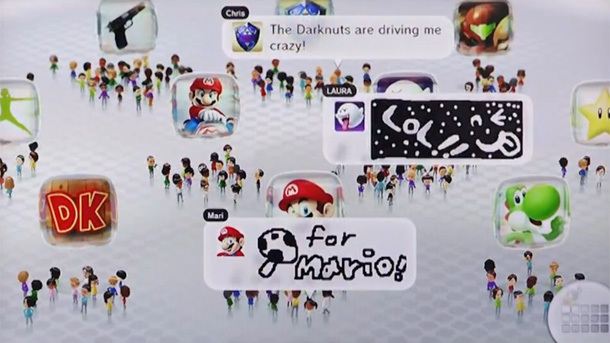 However, at E3 Nintendo showed us a few glimpses of Miiverse, its online social community for the Wii U, and planned also for 3DS and even (in some capacity) non-Nintendo devices. In a recent interview with Kotaku, Nintendo chief Satoru Iwata spoke about his vision of Miiverse, and it’s clear that he and his cohorts have been doing what Nintendo does best – thinking hard about how people like to play and about how they connect emotionally with games. App.net is a new social network that costs $50 a year. It could be the future of the Web. In August 2004, Google was readying its first public stock offering. Pundits were skeptical that the upstart search company could ever live up to its $23 billion valuation. A New York Times article reported that Silicon Valley luminaries were “overwhelmingly bearish” on the firm, seeing little potential for sustained growth in its online advertising business. “I’m not buying,” Apple co-founder Steve Wozniak declared. Serial entrepreneur Jerry Kaplan told the Times he had warned his mother to steer clear of the stock. In our universe, that Times article is good for a laugh today. But what if, in some parallel universe, it turned out to be sadly prophetic? What if it soon became clear that Google’s astronomical valuation had been based on a faulty assumption: that massive Web traffic could lead to massive profits, even if you didn’t charge users for the service you were offering them. What if the Google IPO was the beginning of the end of the free Web, a point at which users reluctantly accepted that you get what you pay for online, and that any site claiming to offer a service free of charge would eventually clutter it with annoying ads and mine its users’ personal information. At a tense time for the newly public company, three top executives announce they are departing from the social-networking giant, all in one day. It was a three-in-one blow today for Facebook execs announcing their departure from the company. All Things Digital reports that Director of Platform Partnerships Ethan Beard first said he was planning to leave the company; then, Platform Marketing Director Katie Mitic said she had plans to leave too. 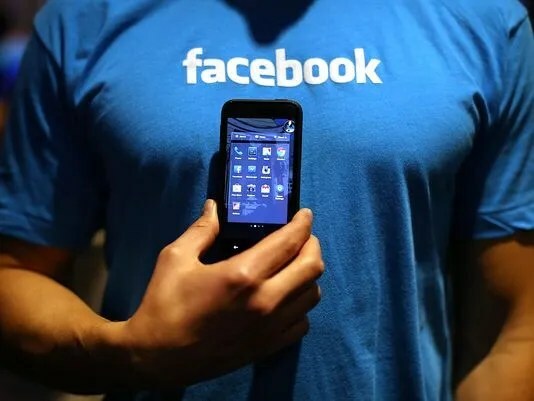 And finally, Facebook’s Mobile Platform Marketing Manager Jonathan Matus also announced his departure. With four years under his belt at the company, Beard was in charge of developing partnerships with many of the app makers that work with Facebook, according to AllThingsD. Mitic and Matus were also on the marketing side of the platform. ImageShack founder Jack Levin has certainly experienced the short end of the stick when it comes to building a company that works with the API of a larger social network. In February 2009, ImageShack launched the Yfrog photo-sharing service, which quickly became one of the most popular ways to share photos on Twitter — back in the day, you may remember, the only way you could share photos on Twitter was through third-party applications such as Yfrog andTwitPic. But in mid-2011, Twitter decided to get into the photo-sharing game after all and in August it rolled out its own internal photo-sharing service through a partnership with Photobucket — which, of course, immediately caused significant damage to the Yfrogs and TwitPics of the world. You’d think that being burned by a giant like Twitter in such a way might make Levin back away from the social networking space altogether. But it turns out, it really had the opposite effect: Now, he’s going after the space in an even more directly-competitive way. Today ImageShack is rolling out Yfrog Social, a full-service social networking platform for the web and the iPhone. You can watch Levin talk about the launch and give a demo of the product in the video embedded above. Web 2.0 has been a pain to invest in. I think we all understand that the social revolution is well under way, and that its value is, though tough to quantify, truly undeniable on a global scale. But in its infancy, profits seem tough to find and a long-term vision for monetization is … well, tough to find. There is one social network that I believe has a solid business plan, that is ready to create real, significant cash flows, and that is way too expensive to warrant a dollar of your savings. When the unfortunate term “social networking” rears its ugly head, the first thing that comes to mind for most is Facebook (NAS: FB) . The company helmed by somebody who looks like he could have been on Growing Pains is, no doubt, going to be an amazing investment when the company figures out how to leverage the billion people who use the service for free. I don’t know when that will be, how the company will do it, or even if I will still be shamelessly self-promoting myself on my own Facebook page. As for now, Facebook and its so-so business model remains on my “Ha-ha, you’ve got to be kidding me” list of stock ideas, not far from Green Mountain Coffee Roasters. To be fair to readers, I won’t go over again my personal reasons for my distaste for Facebook, but my investing-related issues are highlighted in fellow Fool Alex Dumortier’s recent article. Plainly put, Facebook simply can’t measure up to market expectations anywhere in the near future. Not while earning $3.50 per user in revenue. If you apply for a job in Illinois, as of January 1, 2013, employers will no longer be allowed to require your social media passwords – on such accounts as Twitter and Facebook – when you apply for or get the job. To end the current trend and criticism of job applicants having their privacy trounced by employers requiring access to their employees’ social networking sites’ activities, the new bill protects the job seekers and holders. Potential employers, however, are obviously allowed to view social networking information about an applicant that is available to the general public for viewing. This law does not stop an employer from restricting the use of social networks, email, or other Internet activities at work.